Today we're going to discuss how to get up to 5.2gb for ₦100 and 10.4GB for ₦200 on Glo and this offer is available for GLO JOLLIFIC8 subscribers. 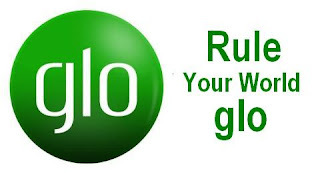 What is Glo Jollific8 Package?? Glo Jollific8 is specially designed to give new prepaid customers eight times [8x] more value on every recharge. New customers also enjoy Voice and Data on every recharge. Having known all these let's get to our main topic. Firstly, you need to migrate to Glo Jolific8 by dialing *603#. Then, simply recharge your line with ₦200 airtime using E-TopUp [e.g, through your bank, TopupAfrica, Etc] and you'll get a whooping bonus of 10.4GB data. Likewise, you can top up your line ₦100 and 5.2GB will be credited to your account. That's all you need to do to get your bonus data on Glo and surf on, you can likewise check if you can accumulate it and with this you should have enough data to carry you through. N.B: You can check your acount balance by dialing #122#.